Zambia – a country of awe inspiring beauty. Home to 72 languages, Victoria Falls – one of the 7 natural wonders of the world, and is well known for having a welcoming and friendly population. A landlocked country in Southern Africa, Zambia is bordered by Tanzania, Malawi, Mozambique, Zimbabwe, Botswana, Namibia, the Democratic Republic of the Congo, and Angola. The 2016 statistics show that Zambia’a population is around 16.59 million people and is known for being a peaceful and diverse country that is rich in natural resources. Zambia has witnessed a significant growth in population over the last five decades, and as a result, the population is young and faces huge challenges for education provision. Despite these barriers, Zambia has demonstrated commitment to improving its national education system and has undertaken considerable policy development and reform to address the Zambian Education 2030 Vision agenda. For example, new policy initiatives have resulted in increased access to basic education, improved infrastructure, and enhanced equity at primary level. Zambia is not only close to achieving universal primary education (UPE), but is also approaching universal lower secondary education. Zambia continues to strengthen governance and democratic processes, with government institutions developing and reinforced transparency and accountability efforts. The review of system-wide policy and planning found that Zambia has in place good policy and institutional provisions with regard to educational planning, governance, and management. One key highlight of the Zambian government’s efforts is the passing the passing of the Gender Equality and Equity Bill into law by parliament in 2015. Commitment to women’s inclusion and participation in government has continued to rise over the years, as women continue to take on key and influential government positions. In the 2016 elections, 132 women were elected at the council level, compared to 85 in 2011. At the parliamentary level, 26 women were elected in 2016, up from just 17 in 2011. The country also saw the election of its first female vice president, Inonge Wina, making her the highest-ranking woman to ever hold elected office in Zambia’s history. Women for Change is a Zambian gender focused non-governmental organisation (NGO), working with communities, especially women and children in rural areas to contribute towards sustainable human development using Popular Education Methodologies (PEM). VIDEA has partnered with Women for Change for 10 years. This support has included the placement of Canadian Youth Interns and support to deliver VIDEA’s Education Programme in rural Zambia. Currently the education programme provides educational and leadership opportunities for vulnerable young men and women in rural areas across Zambia. This support includes payment of school fees, assistance to succeed in education, the provision of leadership opportunities, and on-going support and mentoring for high school and college/university-aged young people. The purpose of the programme is to demonstrate that given a chance, vulnerable, rural young people can succeed in post-secondary education and can go on to bring a pro-poor analysis into their work as tomorrow’s leaders and policy makers. In addition VIDEA works with WfC to support economic opportunities, such as the fair trade basket enterprise in Senanga, that build sustainable livelihoods and provide opportunities for women and men to work together as equal partners in development, and opportunities for communities to take responsibility for their own development by supporting improved civic education. The YWCA Zambia works towards a peaceful and gender sensitive Zambia with opportunities for a better quality of life for all. VIDEA has partnered with the YWCA in Zambia for 10 years. This support has included the provision of Canadian youth interns, and support to the Children in Crisis Centre (CCIC) in Lusaka, where the YWCA delivers a component of VIDEA’s Gender Programme. This support helps to provide a safe and nurturing environment at the CCIC where girls who have been the victims of abuse can live safely and gain counselling support while they wait for a safe family of community placement, and take their perpetrators to court. The Matero Education Project seeks to provide equal access to quality education in the Matero compound of Lusaka. VIDEA has worked with Matero Education project for 6 years. In this time VIDEA’s education programme has provided educational opportunities to vulnerable children in this high-density urban compound, through the payment of school fees and a nutrition programme. Action Africa Help International (AAH-I) works in the thematic areas of Governance, health care, environmental management, and humanitarian relief. It is a regional African-led non-governmental organisation that supports livelihood-challenged communities in East and Southern Africa to sustainably improve their well-being and standard of living. In partnership, AAH-I has hosted International Aboriginal Internship placements, enriching AAH-I community and youth work while widening VIDEA’s reach for development efforts in Zambia. The mission for ZNWL is to support Zambian women and girls to proactively take up Leadership roles and actively participate in the development of the nation, through capacity building, policy advocacy and lobbying. VIDEA is excited about this recent partnership and to have ZNWL host IAYI interns in order support their innovative gender focused programming. 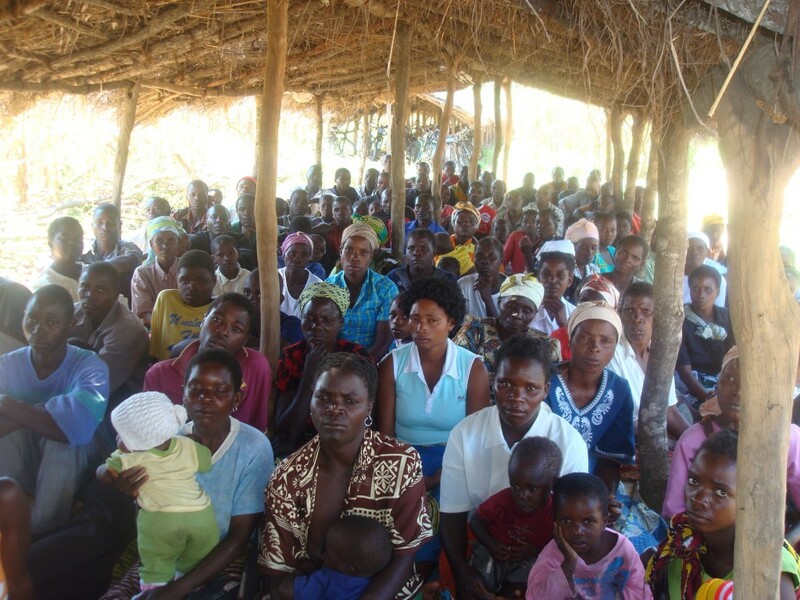 RFDP is an NGO based in Lundazi, Zambia committed to improving the livelihoods of rural women and children through community mobilization, partnerships, and capacity building and advocacy. VIDEA has recently partnered with RFDP to host IAYI internships, and looks forward to supporting their initiatives that promote gender equality.